After much consideration in conjunction with our partners in Fiji we have made the decision to cancel the surgical visit in May this year. Last week, a small cardiology team was in Fiji when Tropical Cyclone Zena struck. 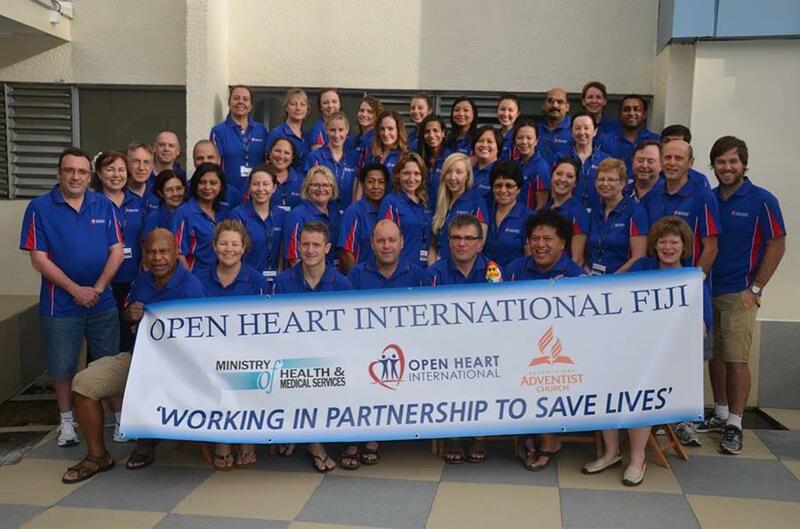 Open Heart International team members were immediately repatriated to Australia and all scheduled activities were abandoned. Thankfully Zena was not as strong or devastating as Cyclone Winston that struck Fiji in February, however there has been further damage caused and sadly more lives lost. At this point in time we do not believe it is feasible for Fiji to host a cardiac surgery team.The emergency repatriation of our team last week has significantly reduced our planning work making it difficult to effectively prepare for a surgical visit. Supporting the rebuilding efforts need to be the primary focus for all the Fijian people, and potentially discharging patients into challenging living conditionspresents additional risks. “We are very sad that we will not be bringing the team to Fiji this year. Having seen some of the damage and devastation first hand in Fiji last week, I know that at this point in time it is the right decision to make” says Melanie Windus, Open Heart International’s Project Coordinator for Fiji. We are continuing to work and dialoguewith the Ministry of Health in Fiji. We are open to the possibility of avisit later this year although there is no plan at this stage, howeverIt may not be possible for us to return untilMay 2017. Should you wish to discuss in further detail, please do not hesitate to contact us at Open Heart International.